The British Gazette » Brexit: The ultimate betrayal! 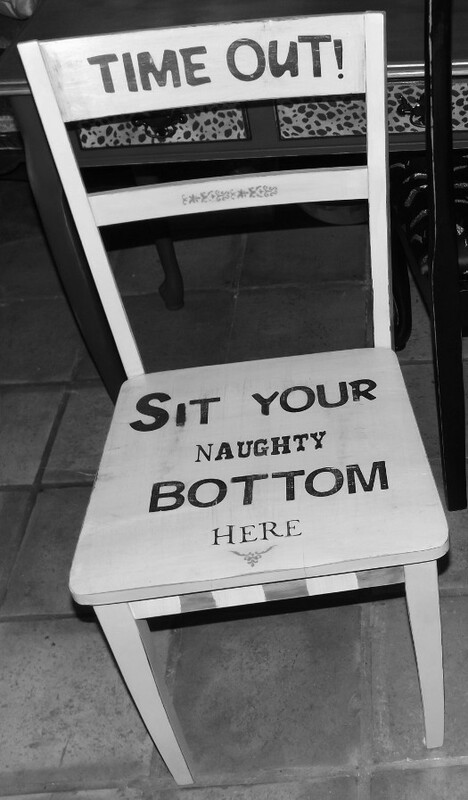 Above, the “naughty seat” on which the EU is going to dictate the British Prime Minister must sit from now on! My Dad was a Liberal. By Liberal I mean a supporter of the Liberal Party. NOT to be confused with the Liberal Democrat Party! One of the recurring memes that has been published on this organ’s website is the idea that we are witnessing “un grand coup de théâtre” put on at that well known venue for political farce, the Palace of Westminster. Indeed with her latest production, Madame la Impresario has excelled herself. Readers will of course remember her much proclaimed “Brexit means Brext!”. The brazen effrontery of this lie is of such proportions that it would even make the late and unlamented Herr Joseph Goebbels, Reichsministerium für Volksaufklärung und Propaganda (Reich Minister of Public Enlightenment and Propaganda) blush! In his blog-post today (http://eureferendum.com/blogview.aspx?blogno=87062), the excellent Doctor Richard North puts online his fears and suspicions that Madame la Impresario will succeed in placing this formerly sovereign United Kingdom of Great Britain and Northern Ireland into an albeit temporary, dependent territory status to the European Union. Should these fears come to pass, what the UK will doubtless end up with is an INFERIOR arrangement to what last night on BBC2’s “Newsnight” former Greek Finance Minister Yanis Varoufakis told presenter Emily Maitlis, aka Mrs Mark Gwynne, has always been on offer from the EU, the so called “Norway Option” aka, FLEXCIT! Again, this is something that this organ has repeated time and time again over the last two plus years, namely that the so called “Norway Option” is the ONLY doable, practical Brexit strategy that will enable the UK to keep the necessary advantages EU membership gives it – required to maintain a large level of international investment in the UK economy whilst restoring – as far as practically possible – LAWFUL GOVERNMENT as per Declaration and Bill of Rights 1688/1689 and enabling it to negotiate the now famous “trade deals” much talked about by people now referred to as “Brexiteers”. But IF the UK ends up with the “Norway Option” it will be after a period of time that was unnecessarily long and after an expenditure of money that was unnecessarily excessive – all for the electoral benefit of the Tory Party! Of course, the Tories were helped by the members of UKIP, which for the Tories stands for the “Useful Key Idiots Party”. This is indeed an accurate description of the role that UKIP has served in this unmitigated débâcle for UKIP’s unswerving advocacy of the idiotic policy of asking for an immediate no deal Brexit, ideally – for them – by repealing the European Communities Act 1972 – causes them to fully live up to the revised acronym the Tories have bestowed upon them! IF what Madame la Impresario appears to have planned comes to pass, UKIP will have gotten away with it! Their claims of Brexit betrayal will be valid – insofar as Madame la Impresario has brought about a less than ideal Brexit. But completely invalid and delusional insofar as their nonsensical fantasy that there exists a Shangri-La state of trading on the fabled “WTO terms”! The one thing that Madame la Impresario and her creature, The Right Honourable Brandon Lewis, PC, MP, Chairman of the Conservative Party will feel is this: That the time and money was very well spent is that the UK will be freed from the prospect of large numbers of UKIP MEPs making headlines and bring publicity and electoral success to UKIP. The Tories know that both of these are very unlikely without the proportional representation that comes with the European elections; and that UKIP will be forced to contest elections on the First Past the Post system and with the notable exception of the Welsh and Scottish assembles, is doomed to electoral insignificance. Therefore, IF thinking ONLY of the interests of the party I happen to be a member of and to paraphrase Boris the Buffoon, “XXXX the county”, I would be hoping that Madame la Impresario’s fraudulent deal is voted down by the Commons and that, possibly after a second defeat were Madame la Impresario to bring the deal back to the Commons for a second vote after an initial defeat, there will in fact be a so called “People’s Vote” or second referendum. This is because were the options to be a “no deal Brexit” and remaining in the EU on the present terms with the exiting “opt outs” this would in FACT be an HONEST referendum because the two options advocated would be honestly promoted and advocated! You see, having taken an active part in the 2016 Referendum campaign and having maintained my UKIP membership since then I can state with certainty that my fellow “Kippers” sincerely and honestly believe that what they are advocating is for the good of the UK. That when UKIP’s leader, Gerard Batten advocates what he advocates he really does believe that this will be for the good of the UK and these good effects would become quickly apparent upon enacting what he advocates. So I can state quite categorically that Kippers are NOT Liars! So when they hand you an “Out Now” leaflet, that is what they honestly and sincerely believe is in the interests of the UK and it’s people. I started this article with a piece of political advice from my late father. If in 2019 we wake up one Friday morning and find that the voters have decided to revoke Article 50 and remain in the EU it will not mean that the UK will forever be a dependent territory of a European empire. This is because the EU’s days are numbered. This of course begs the question: IF there was to be a second referendum, which way would the Editor of the British Gazette vote? Answer: I would not. I would go to the polling station, collect the ballot paper and write two words on it: “Vote withheld” – and put it in the ballot box with a heavy heart!